Last April, I took a card right from our deck of Mystic Truths and decided to make myself uncomfortable. Forced to serve a mandatory creative sabbatical away from the same unobstructed view of 6th and Main I’ve enjoyed since May 2011, I packed my bags for an overseas adventure to meet 20 strangers in Barcelona, Spain. As Americans, we absorb a fair amount of Spanish in our daily lives. Enough to fill me with the necessary confidence to spend a month in Spain. Unfortunately, no sooner than I booked my ticket did I realize that Catalan, not Spanish, is the official language of Barcelona. For context, Catalan actually has more in common with Italian and Portuguese than it does with Spanish. Alas, the language barrier didn’t inhibit my experience. In fact, spending an entire month in blissful ignorance of nearby inane conversations was practically therapeutic. More than anything, I’ll remember good it felt to share a meal with people you care about, a value observed at least five times a day by most Barcelonans. From desayuno (breakfast) to la cena (dinner), which typically doesn’t start until after 8:00 PM, we gathered around everything from tapas and paella to vermouth and local wine. In between meals, we managed to find time for learning. Early in our retreat, we took inventory of everyone’s expertise and interests in order to generate a community calendar. Our month was filled with workshops, panel discussions, and excursions designed by Unsettled employees and members of our retreat. Topics ranged from leadership and meditation to filmmaking and finding purpose. Among the most unique, was exploring the Japanese concept of ikigai, which is your reason for being. In Okinawa, finding your ikigai means discovering your passion and purpose. It’s what one lives for. It’s talked about as openly as one might discuss their favorite baseball team or why they prefer tater tots over French fries. To find your ikigai, you explore the intersection of what you’re good at, what you can be paid for, what the world needs, and what you love. The exercise was a refreshing opportunity to find balance in what makes you uniquely you. 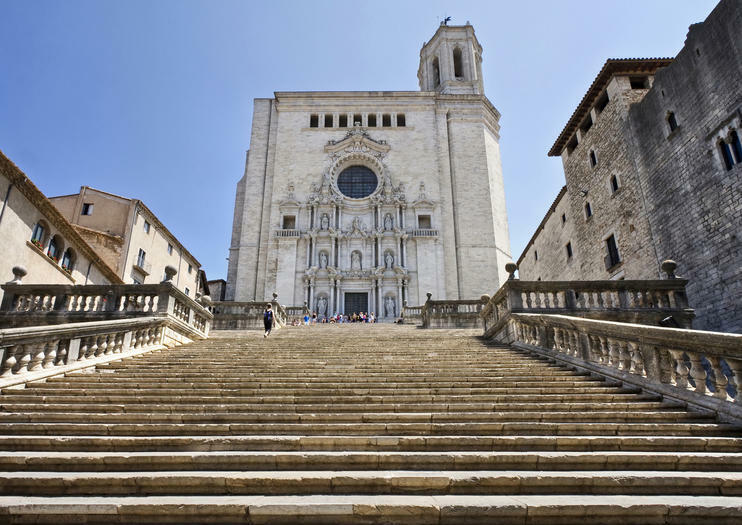 From climbing the steps of the Girona Cathedral (known to Game of Thrones fans as the Sept of Baelor) to buying a bell pepper at the grocery store, every moment in a new culture is an adventure. For those of us who could completely unplug from work, we chose to fill our time with new excursions at every turn. We learned to use tarot as a method of reflection. We immersed ourselves in local traffic laws by biking the streets of Barcelona. We engaged all of our senses during an art and dining t0ur that turned famed local works of art into a delectable four-course meal. What made each of these experiences special was sharing them with people who were also there for the first time. If you chose to go it alone, at the very least, you’d gather for a meal later in the day to share your highlights with others. Preserving all of these memories was perhaps the biggest challenge of the entire month. Of course, we all travel with cameras in our pockets, but our phones also create a potential barrier to the world around us. To limit distractions, I deleted all social media apps from my phone, with the exception of Instagram (you know, to keep up with my travel companions). Even then, I limited myself to one post a week in which I had to choose ten photos that represented my experience. The result was as liberating as it sounds: I walked with my head up, people-watched for sport, and carried a notebook everywhere I went. My photos and notes served as tools when I carved out time each day to write all of my thoughts and experiences in a journal. These daily doses of reflection provided presence and gratefulness for the day’s events. I’ve even semi-successfully carried the practice back home in a more abbreviated form through the Five Minute Journal. By choosing to disrupt my routine for a month, I invited new habits that have since positively impacted my personal and professional lives. At the very least, I have a few new magnets to stare at when I lift my gaze from 6th and Main. Week Four: Weather is really neat. What do you do when you get a month-long sabbatical from work?